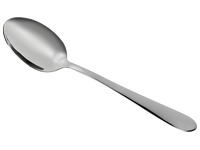 Coffee spoon in 100% inox. Can be cleaned in dishwasher. In a box of 12 pieces.